Canonical may have stopped working on Unity, Mobile & Convergence for Ubuntu last April, but since then, at least two teams have worked on Unity and mobile convergence alive with respectively yunit and UBPorts projects. 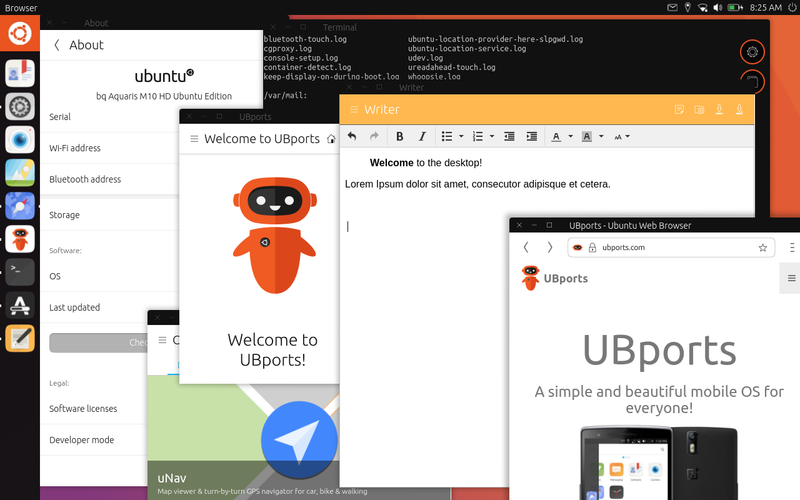 There has not been much activity on the former, but UBPorts has recently announced the first OTA-1 stable release for supported devices, minus Nexus 4 and 5 for now. This release brings bug fixes, experimental AGPS support, he UBports Welcome app, the OpenStore, and the Terminal and File Browser are preinstalled. It should work on OnePlus One, FairPhone 2, Optimus L90, BQ Aquaris M10 HD / FHD, and possibly some other models. They also mentioned work on Halium – a project aiming to standardize the Android hardware compatibility layer between many Linux distributions – has been progressing nicely, and it can now boot both Ubuntu Touch and Plasma Mobile. Convergence still needs some work, but one of the developers demoed it on a Nexus 5 here. Anbox support is also planned in order to support Android apps in Ubuntu, but it’s a low priority for now. If you are interested in learning about future releases, or helping fix bugs, you can do so on the Milestones page.